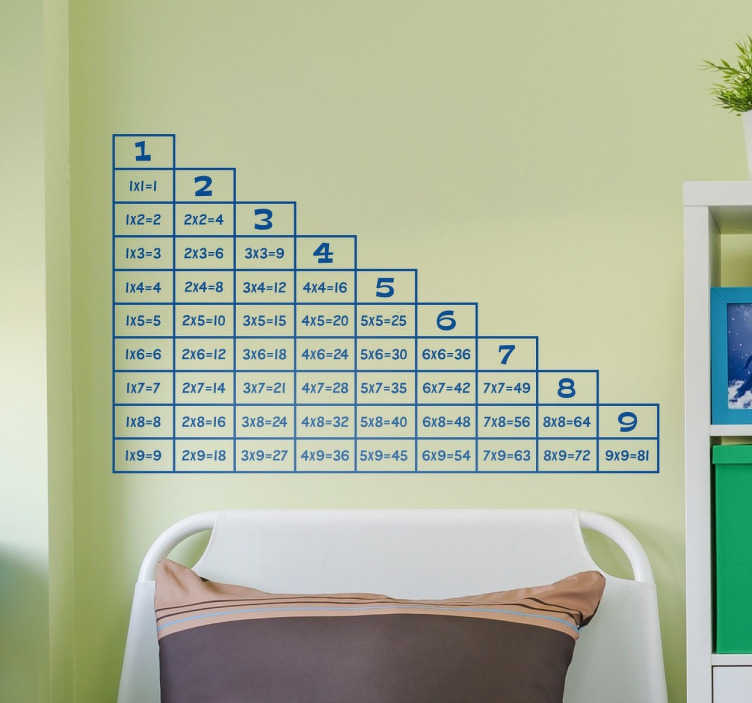 From our collection of educational stickers for children, a wall decal with a design of a multiplication table to help kids to learn their times tables. Does your child struggle with maths or trying to remember their times tables? If so then this wall sticker is perfect for decorating their bedroom in a way that is beneficial to them! With the help of this table your child is sure to be top of the class! Ideal also for schools to decorate classrooms in a practical way. Customise in any size or colour that you like. Apply to any flat surface easily.